The new year is well underway, and as always, businesses are eagerly looking for trendy promotional items to make their company stand out from the competition. Custom balloons are a great marketing tool thanks to their liveliness and brightness, which makes them eye-catching. They are effective in promoting big and small businesses. 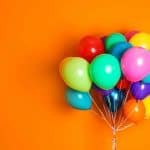 Using custom balloons as decor, such as balloon arches and even balloon ceilings, is an important element that will aid any company’s event promotions – and here is our rundown of what’s hot this year. Whether it is for a business event or a personal one, giant custom balloons are certainly trending more so than ever in 2019. The old maxim of Bigger if Better definitely holds true when it comes to logo printed latex balloons for company events and trade shows. Balloon arches and garlands are not a new idea, but are back in full force for 2019. We have chosen to lump these two balloon decor elements together in our list of custom balloon trends as they are similar ways to use custom printed latex balloons to display a corporate logo in the background at an event. Balloon arches are a well-known type of balloon decor. They are versatile and eye-catching, and work well with any company occasion. There are classic balloon arches, as well as organic balloon arches which combine both smaller and bigger balloons to create an original mixture. Go as high as you want with a self supporting helium filled balloon arch. 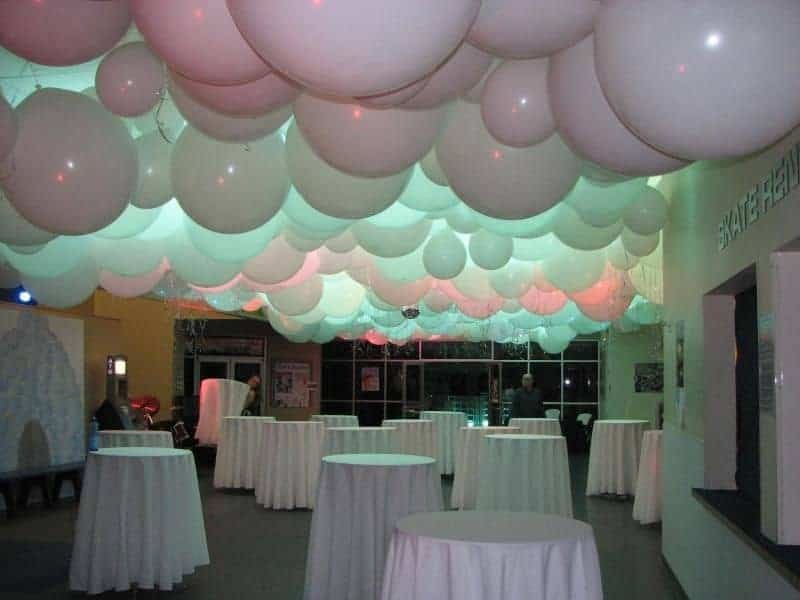 A floating balloon arch can be built using helium filled and hi-float treated latex balloons. This style of construction is not limited by being attached to a supporting wall or ceiling. Consult with your balloon decor pro and let your ideas flow. The skyis the limit with a floating arch. Be it a corporate launch or an engagement party, a vibrant custom balloon garland ties everything together. 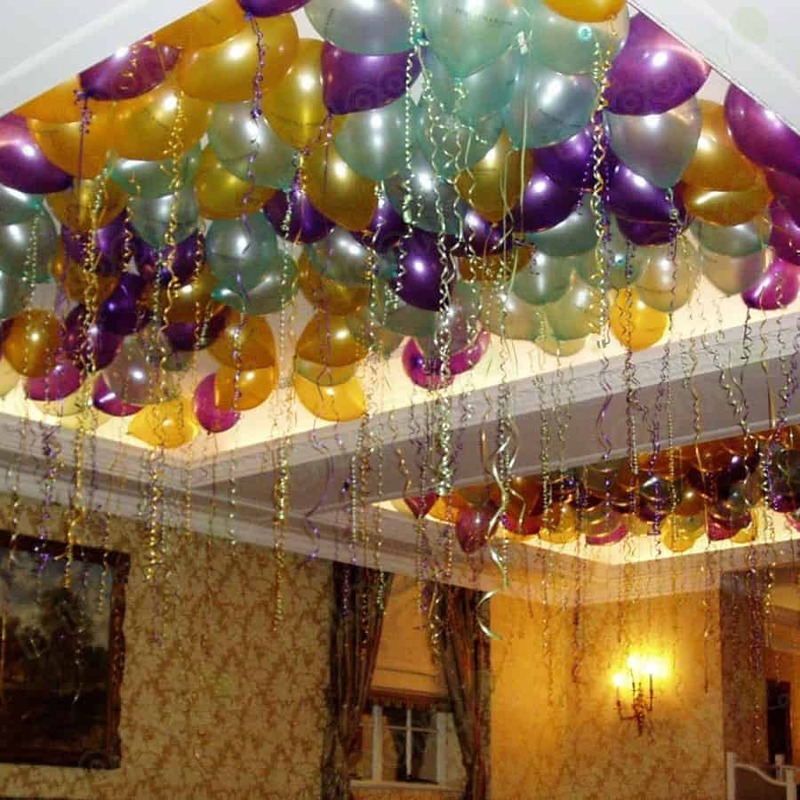 Balloon garlands are beautiful and attract attention in an elegant way. 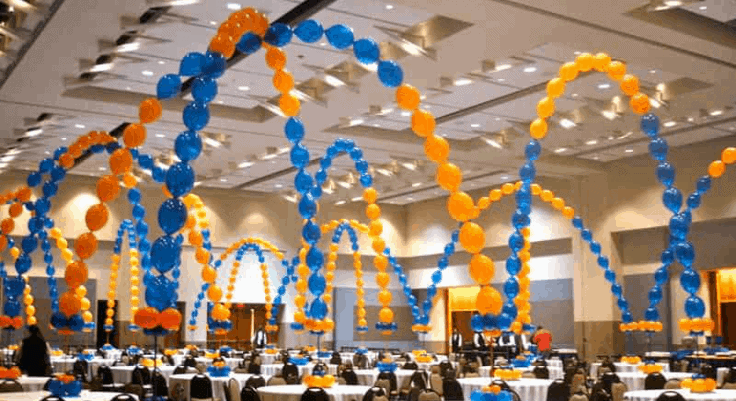 At a business event, balloon garlands customized with your company’s unique branding and logo are a perfect way to create a unique experience for your guests and prospects. It shows the hard work your company has put in to the event to make it memorable and beneficial for all involved. Companies can benefit from the style of custom balloon ceilings at conferences and business launches. Often, the people who attend these attend numerous throughout the course of the year. Having such an amazing marketing item used to represent your brand during such an event is an advantage to making sure that your business is remembered positively. 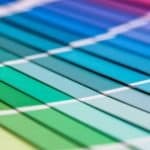 Who better to take care of this responsibility for you than a qualified custom printer paired with a professional balloon decorator? Before making a firm decision on balloon decor for your company event, think about what you want to associate your business with. While some companies decide to create their own balloon decor items, it is highly recommended that you employ professionals to guarantee a great-quality, polished end product. Whether it be a trade show, a product release, or a conference, custom balloon decor calls attention to your business and add to the ambiance of the event. Whether it be balloon arches, garlands, clusters or bouquets, rest assured that CSA Balloons will provide the very best printing and material quality. CSA Balloons professional balloon decorators service major cities such as Montreal, New York City, Quebec City, Toronto, Ottawa, and Vancouver, as well as Calgary and many others. Browse through images on our decor pages to decide what type of custom balloon decoration is the right fit your business event. If you have any questions or concerns, our staff is eager to walk you through the process of creating and marketing cost-effective and stunning personalized logo balloon decor.